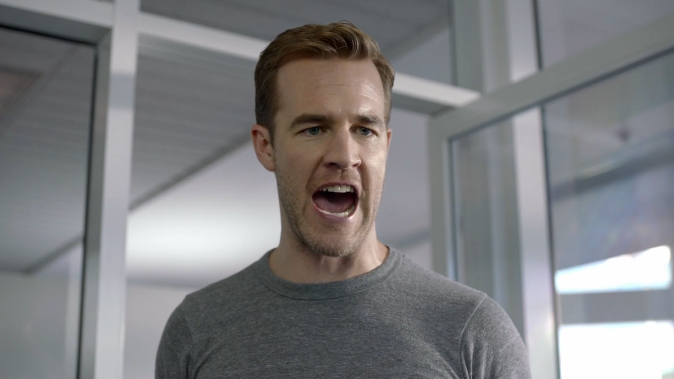 For its latest entry in its All Drive, No Drama campaign, Cars.com has employed James Van Der Beek, heart throb from Varsity Blues and Dawson's Creek, to add some drama to a commercial that touts the fact buying a car with Cars.com is, well, drama-free. In the ad, when an exchange between a customer and a car dealer isn't quite dramatic enough, the car dealer brings in Van Der Beek to deliver a dramatic line from Varsity Blues. Sadly, Van Der Beek has never been, shall we say, a very dramatic actor.